The option probably won't work with the iPhone X, XS or XR because it would require Apple to realign front-facing sensors, developer Steve Troughton-Smith noted on Twitter. Landscape support might be useful on the XS Max, since some apps take advantage of the phone's 6.5-inch screen to offer a split view in that orientation. It may be more crucial with iPad Pros, since iPads are often or sometimes exclusively used in landscape mode, and it would be inconvenient to have to rotate to portrait mode every time Face ID is needed. Apple didn't announce new Pros at its Sept. 12 press event as some rumors had suggested. The company is believed to be working on updated 10.5- and 12.9-inch models though, which are expected to include not just Face ID but much thinner bezels — not quite edge-to-edge like the iPhone XS, but close. 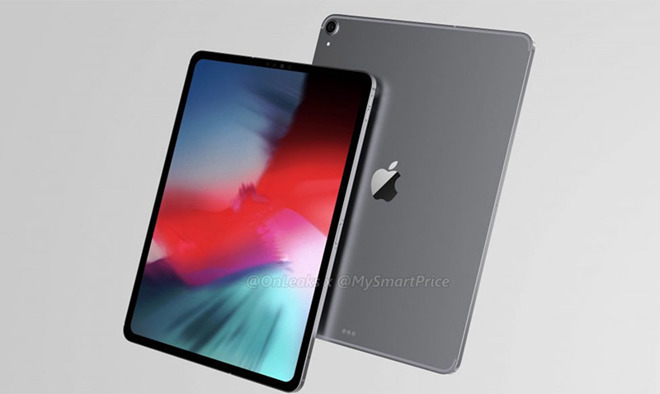 The tablets have also been rumored to make the switch from Lightning to USB-C, and in fact Troughton-Smith commented that iOS 12.1 "seems to care a lot more about whether an external display is connected," which he noted would make sense if there's no Lightning-to-HDMI adapter in the way. Apple could still launch new iPad Pros before the end of the year, as it sometimes holds product announcements as late as October.